I was so excited when I found out that they were making a live action re-make of Cinderella because it has always been one of my favorite Disney movies. From the moment the first trailer came out I knew that this movie was going to be one I would love watching with my daughters. We were able to see a Girls Night out pre-screening of this movie and we all loved it. We were so excited for it to come out on Blu-ray so we could watch it for family movie night. They have re-watched it many times since then! The Cinderella story is magical to so many little girls. I have two daughters and we have watched the classic Cinderella movie over and over again. They have dressed up as Cinderella, and re-created the story, pretending that they are the real life princess. 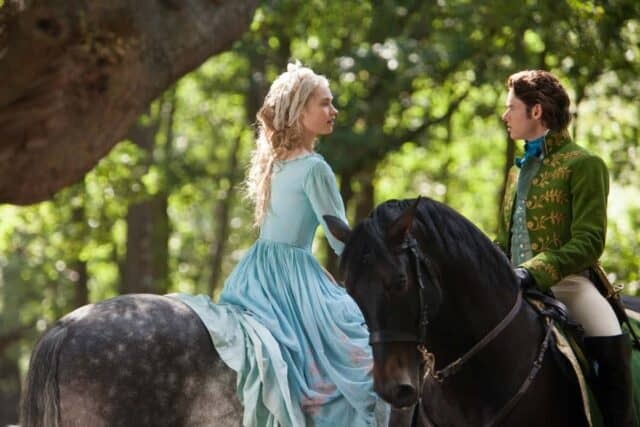 The story is special, magical and Cinderella is a character that they really love. 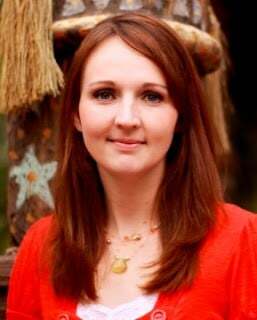 When my daughter was young, we lived their Disney so we went often. 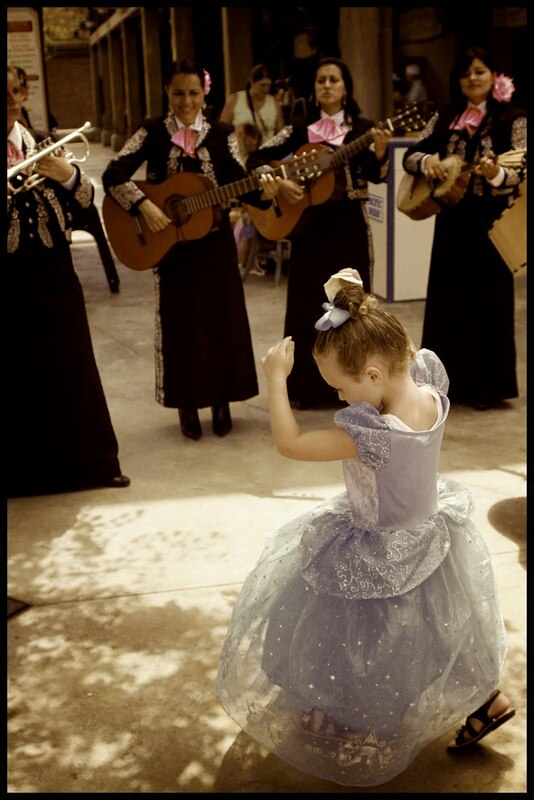 Every time we went she would wear her Cinderella dress. The Cinderella story is one of love and sacrifice which teaches our children how to act and how to be. Disney Cinderella is a fantastic family friendly movie. This live-action movie is visually fun to watch, is romantic, fun and has enough adventure to keep the boys interested! 🙂 I love the lessons that we can learn in this movie. The lesson that my daughter remembers most is to Have Courage and Be Kind. How important is that! 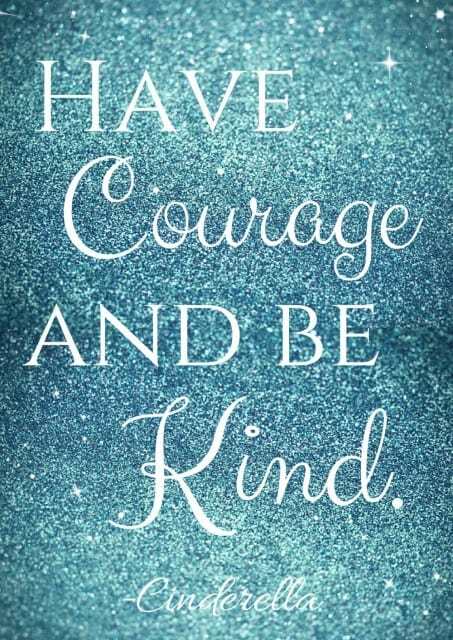 Having Courage and Being Kind. We talk about that often and I love that this movie was able to teach my daughter this important lesson. You can download and print our Have Courage and Be Kind Printable here. 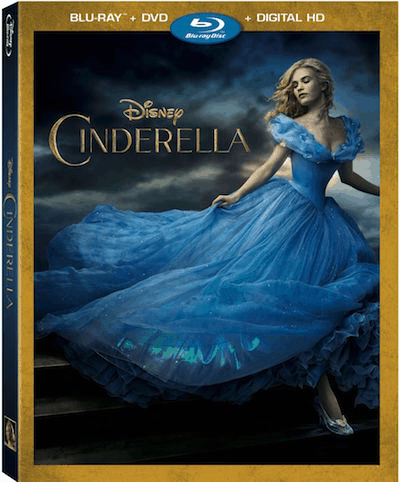 Cinderella will be available on Blu-ray Combo Pack, Digital HD and Disney Movies Anywhere September 15th with bonus features that include over 12 minutes of additional scenes, the “ Frozen Fever” theatrical short and more!